Late Tuesday afternoon, Variety broke the news that Disney (which owns Grantland but does not run casting decisions by us) has lined up five strong candidates to lead J.J. Abrams’s Star Wars: Episode VII. These gentlemen are Jesse Plemons, Attack the Block’s John Boyega, Ed Speleers (Downton Abbey’s Jimmy Kent), and Ray Fisher and Matthew James Thomas, stage actors who have played Muhammad Ali and Spider-Man, respectively. Let’s examine these guys’s prospects at becoming Important, Unnamed Jedi Apprentice real quick. The Age Factor: If Abrams and Disney want more of a fresh Padawan, they go with Boyega, who’s 21 — he ruled everything in Attack the Block at the tender age of 18. If experience is a factor, the playing field’s wide open, as the rest are 25 or 26. ADVANTAGE: Unclear. The Star Factor: Basically only Plemons registers here, and even then it’s mild. (Unless Speleers is a known quantity outside the Downton circle?) But it’s not like a Star Wars movie ever shied away from casting a complete unknown in a major role in the past. ADVANTAGE: Unclear. The Race Factor: Movies and TV as a whole exhibit a tremendous representation problem for people of color, but it’s particularly accentuated in sci-fi and fantasy, where the Lena Dunham–esque “this is just the world I inhabit” doesn’t hold water. These are invented worlds, but they’re somehow just as unrealistically lacking in diversity as the majority of everything else we see onscreen. Where Game of Thrones has failed, Star Wars may look to succeed. Not just by tossing some nonwhite characters in at the edges (hi, Star Trek; bonjour, The Hunger Games), but by placing an actor of color front and center. Then again, it could run with the time-honored tradition of giving the lead to a white dude. ADVANTAGE: It’d be nice to say Boyega/Fisher, but again, unclear. The X Factor: Fisher shares a surname with Princess Leia’s real-life doppelgänger. 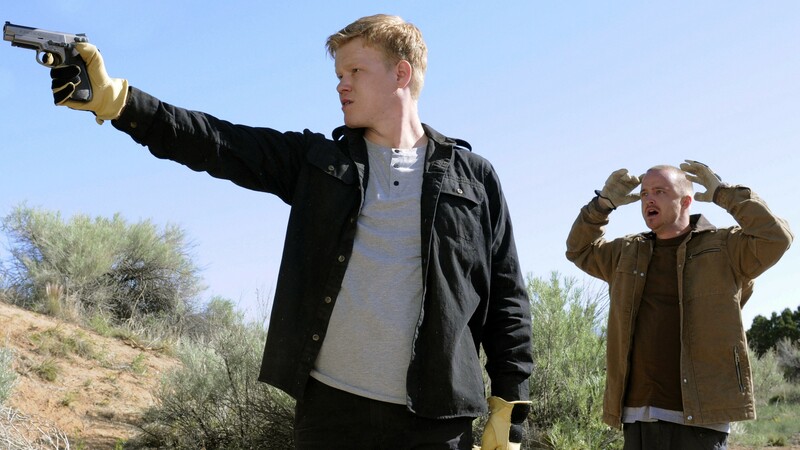 Plemons factored heavily into Breaking Bad’s closing chapters, just like he’d do with Star Wars; both are all-time great sagas. Speleers, especially in this IMDb photo, looks like a mix between Hayden Christensen and Mark Hamill (or maybe he’s just another handsome blonde dude); his last name is also more or less a Star Wars name already. But the biggest X factor beneficiaries might be Thomas and Fisher — they’re stage actors, just like Adam Driver was before he broke out on Girls and Inside Llewyn Davis. And in case you forgot, Driver has been tapped to play the Darth Vader–ish villain of Star Wars: Episode VII. ADVANTAGE: Unclear. So Who Is It? I’ve got even less of an idea than when I started this thing. Fun to think about, though! Oh, and don’t forget that Disney and Abrams are still on the lookout for more possibilities. Activate this casting merry-go-round’s hyperdrive, Chewy.